PMO Fuel Injetion Throttel Body kits. Available complete with Electronics or for use with your Management systems. 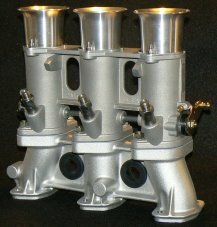 PMO EFI Throttle Bodies, Airhorns, Fuel Rails: For use with your existing PMO Carb Manifolds and Linkage set.